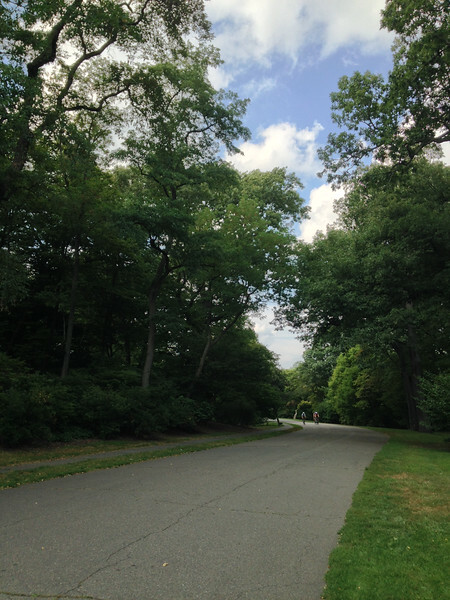 On Saturday, September 6, 2014, I walked from one end of Boston's Emerald Necklace to the other. 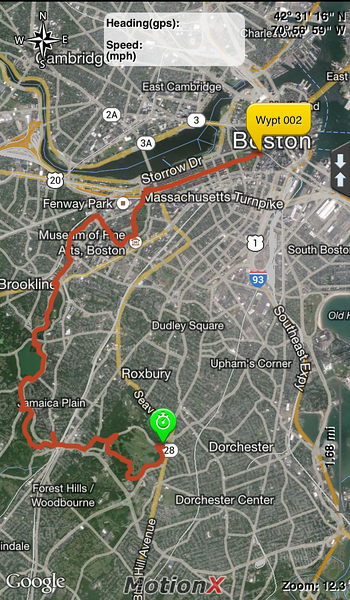 Franklin Park to Boston Common. 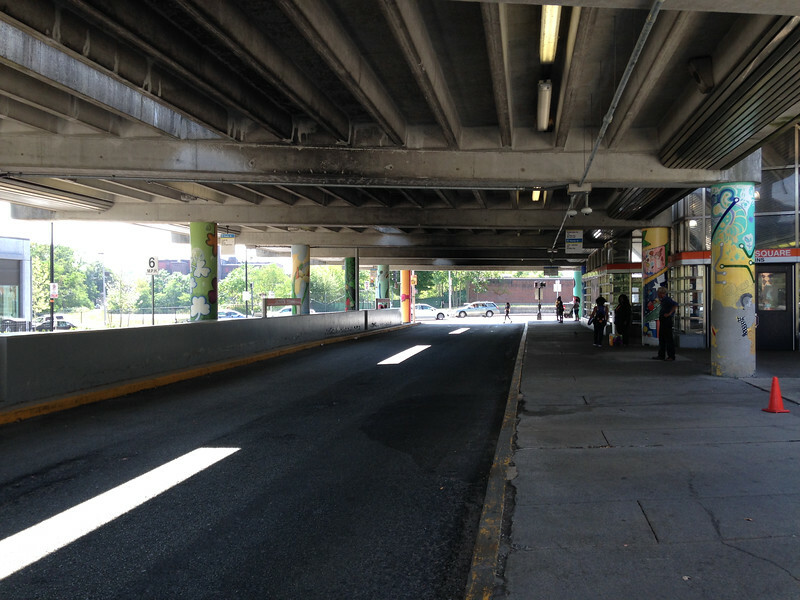 I drove into Boston, parked at Center Plaza, walked to Downtown Crossing, then took the Orange Line from there to the Jackson Square station (shown here). 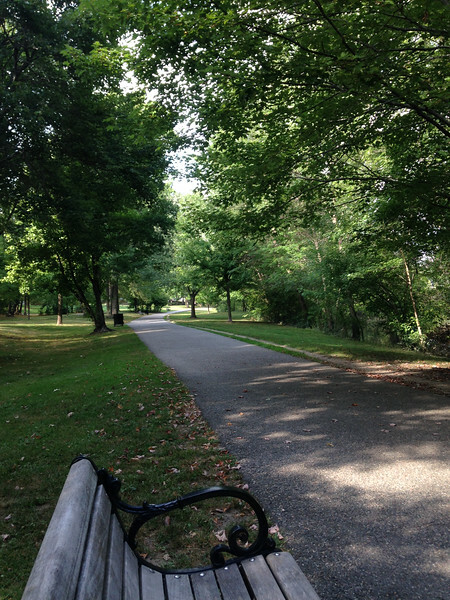 Then I took the #22 bus to Franklin Park. 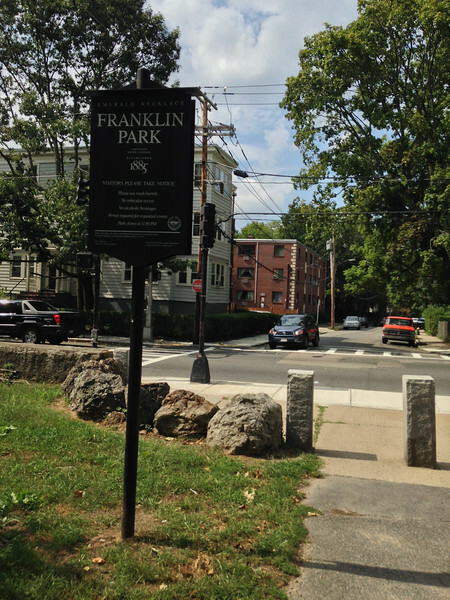 I began my walk at Franklin Park in Jamaica Plain. 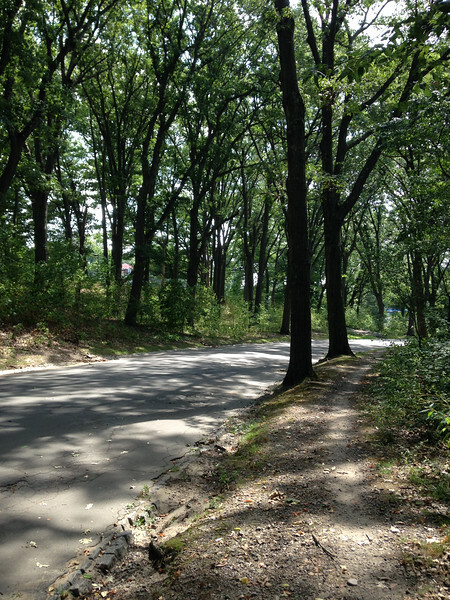 This park includes a golf course and the Franklin Park Zoo, along with an assortment of hiking trails. 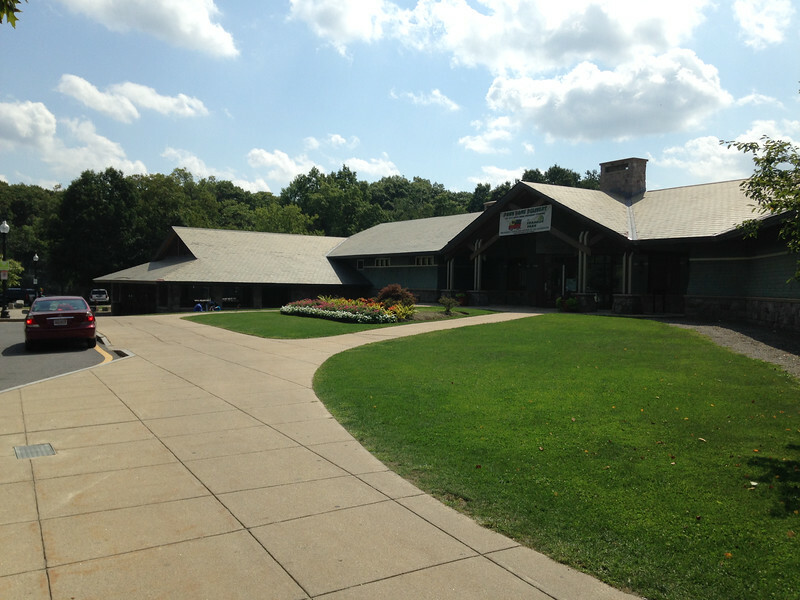 Clubhouse at the golf course in Franklin Park. 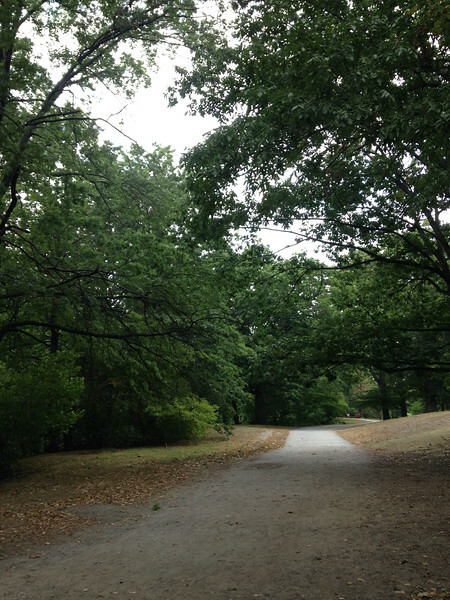 One of the walking paths in Franklin Park. 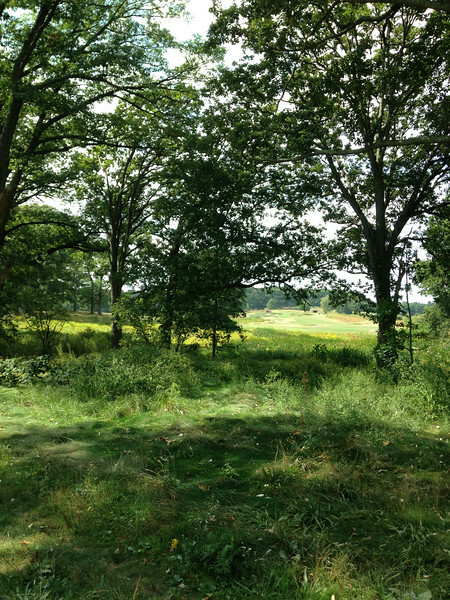 View from the walking path to the golf course in Franklin Park. 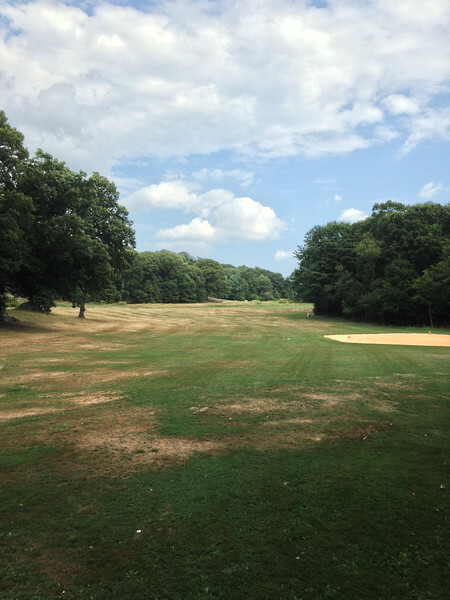 Golf course in Franklin Park. 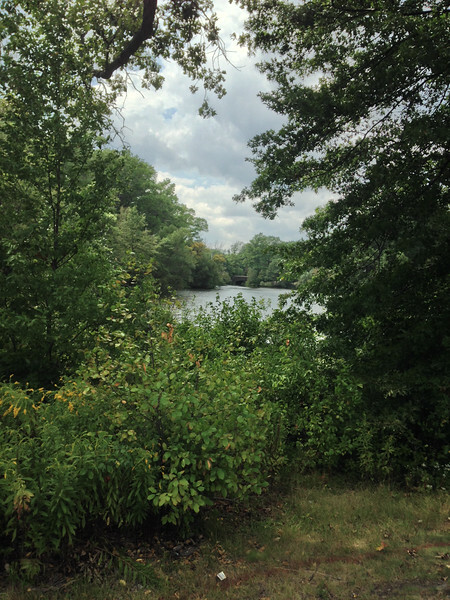 Scarboro Pond in Franklin Park. 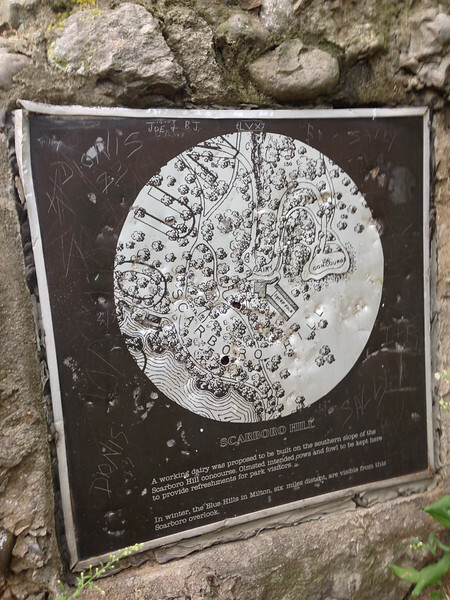 Place marker for Scarboro Hill in Franklin Park. 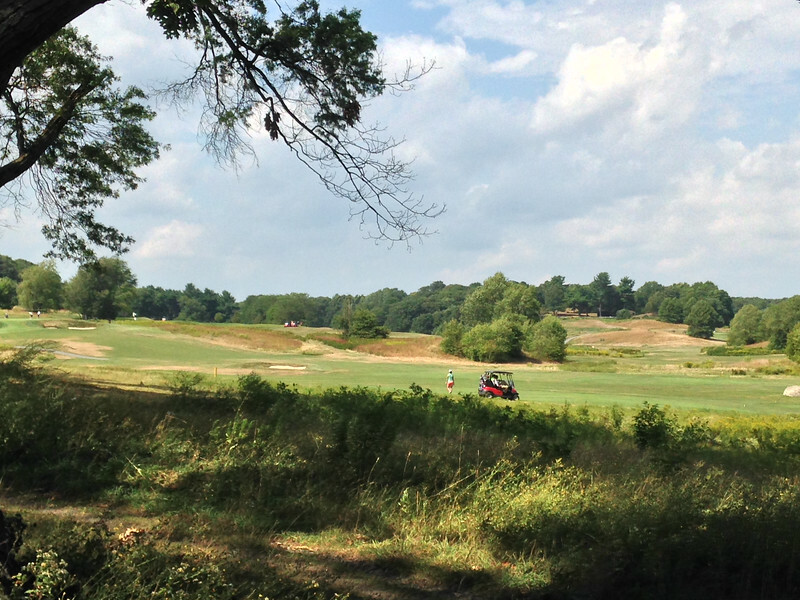 Another view of the golf course at Franklin Park. Sign marking my exit from Franklin Park. 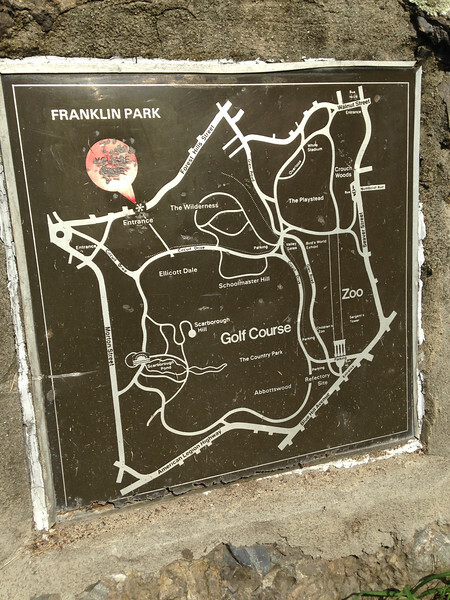 Map of Franklin Park, showing the Golf Course and Zoo. 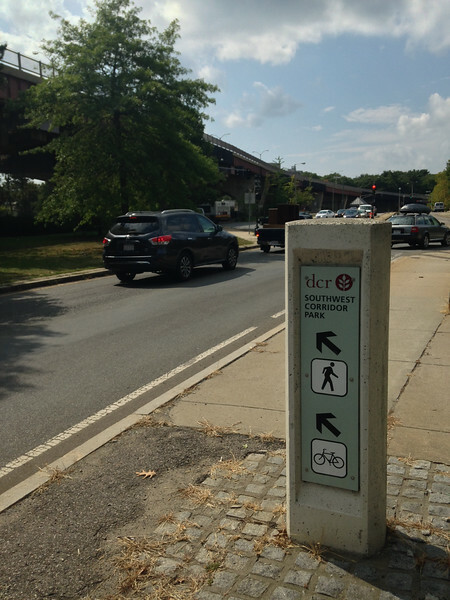 Walking along the Arborway (which runs from Franlkin Park to Arnold Arboretum and then to Jamaica Pond), I crossed the Southeast Corridor Park, which runs along the path of the Orange Line. 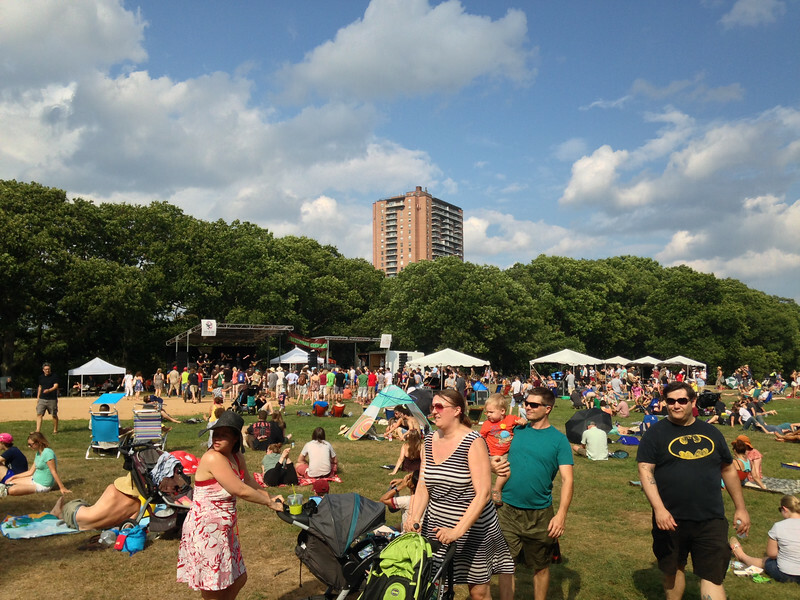 The Orange Line (and the Southeast Corridor Park) were built as a result of a decision not to build an Expressway through this part of Boston. I stopped briefly to get some refreshments at JP Variety on South St in Jamaica Plain. 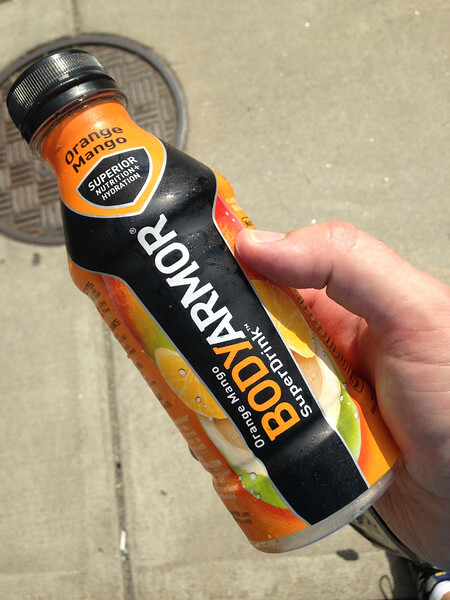 This Body Armor drink hit the spot on a very hot day. 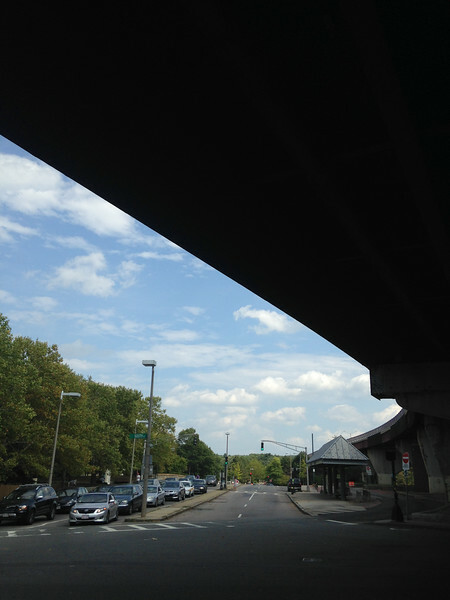 The Forest Hills Overpass at South St in Jamaica Plain. 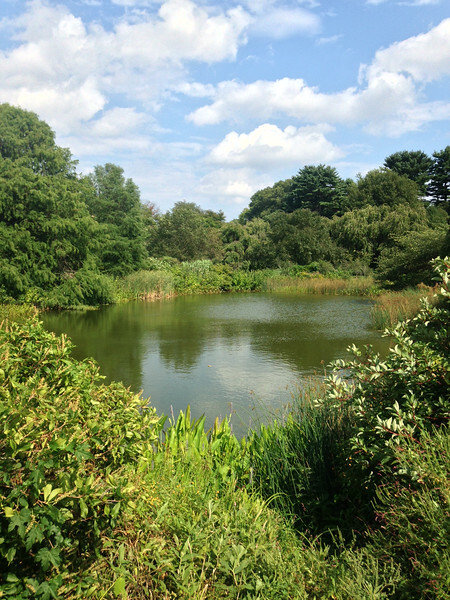 A pond in Arnold Arboretum. 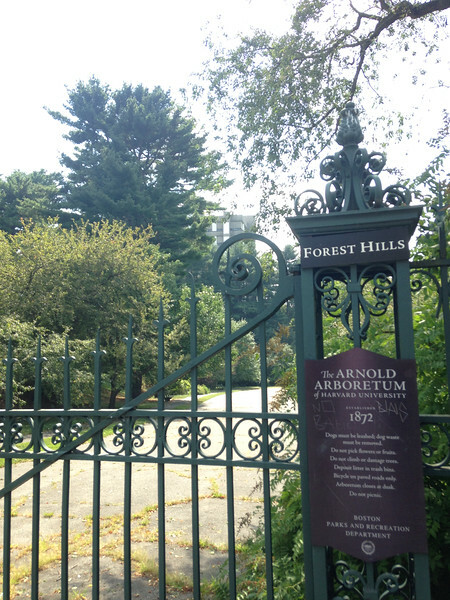 Multipurpose recreational path in Arnold Arboretum. 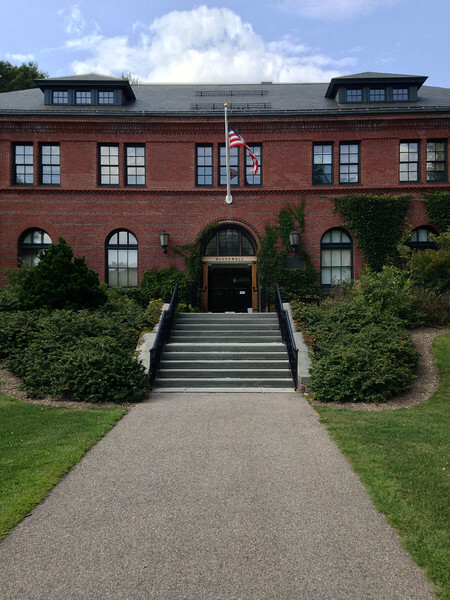 Visitor Center at Arnold Arboretum. 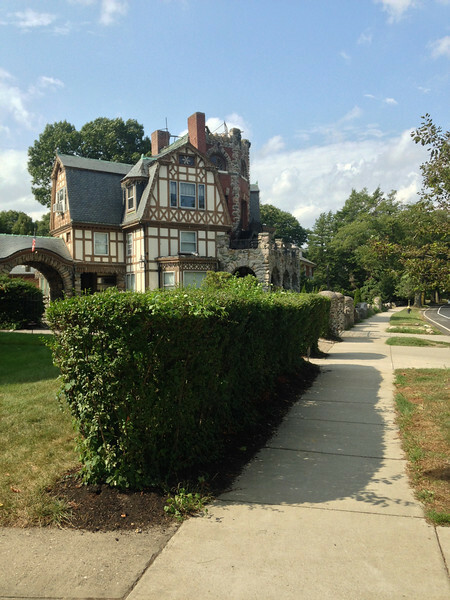 An interesting house on the Arborway between the Arnold Arboretum and Jamaica Pond. 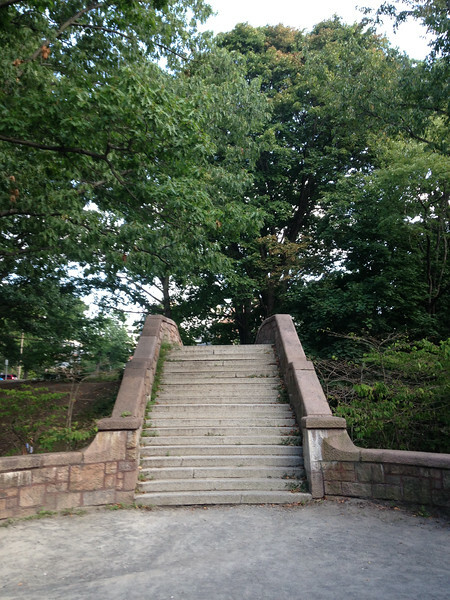 Entrance to Jamaica Pond. 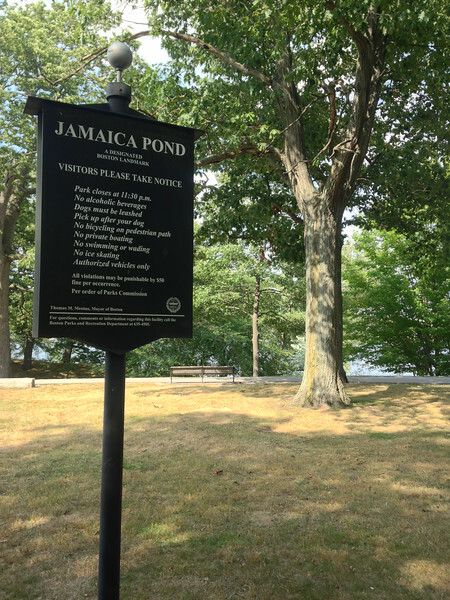 Surrounded by trees, biking and walking paths, Jamaica Pond is a nice place for a walk. 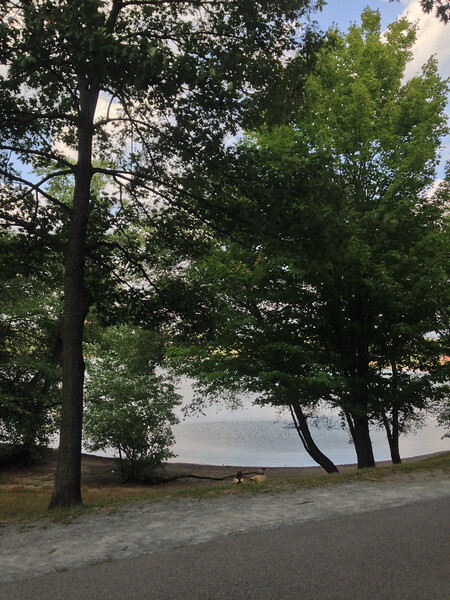 A lovely view through the trees down to Jamaica Pond. 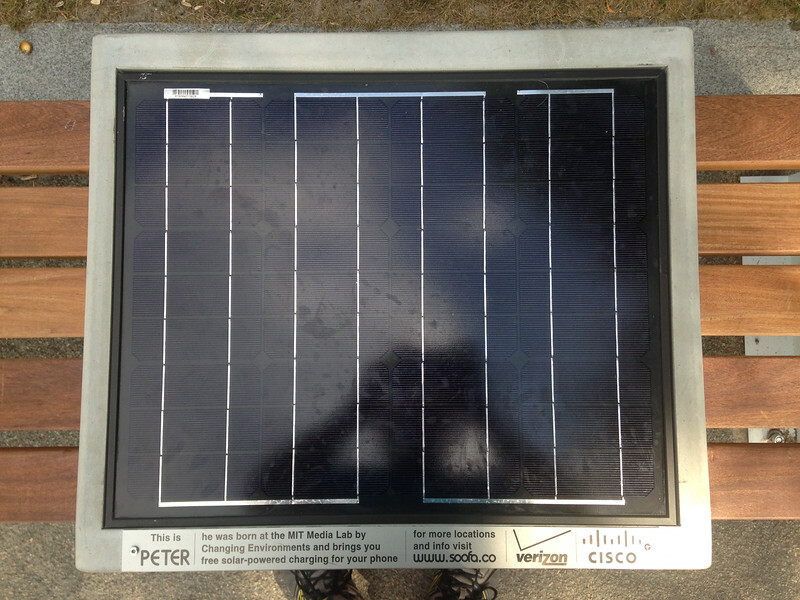 Next to Jamaica Pond Boathouse, there was a Soofa named Peter. 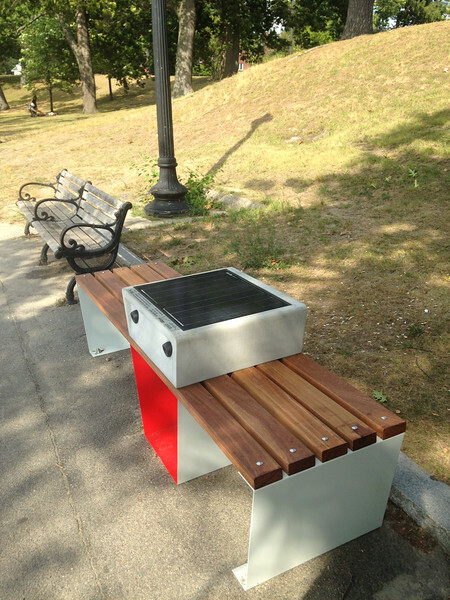 Peter collects energy from the sun and lets visitors charge USB devices through two ports on the front. For more info, visit: Soofa.co. I was glad to make Peter's acquaintance. Good strong name. 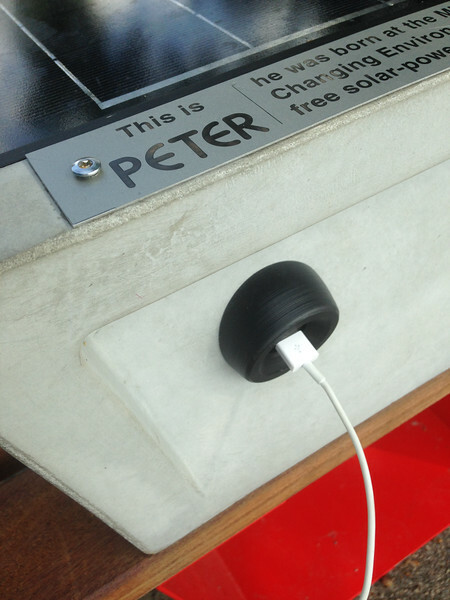 Peter just wants to give you a hug and charge your electronics for free. 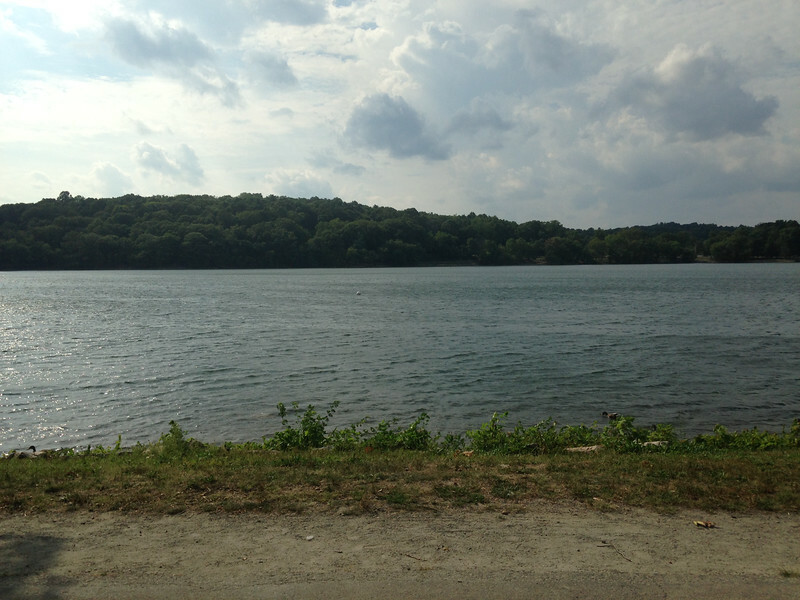 This is the view of Jamaica Pond from Peter the Soofa. An interesting bench at Jamaica Pond..
On the other side of Jamaica Pond, I discovered that the JP Music Festival was happening. 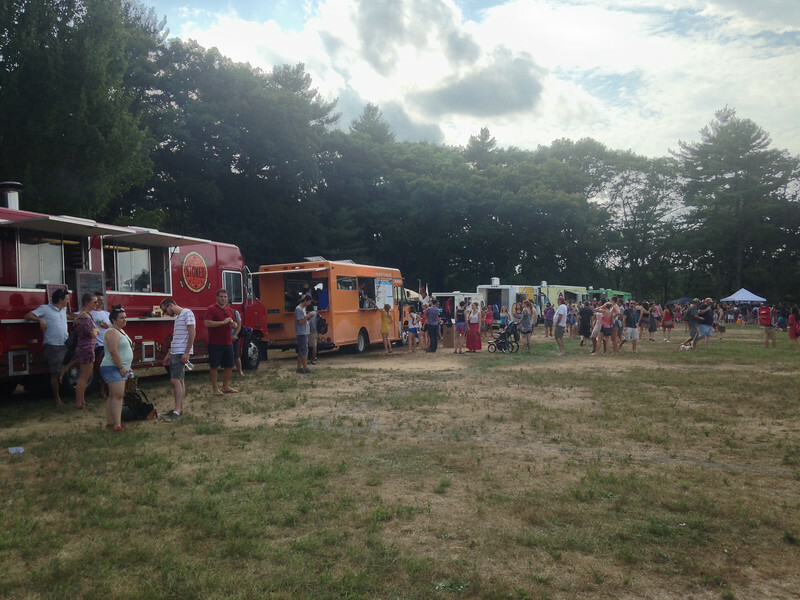 Lots of Food Trucks selling delicious smelling food, bands playing loud music, lots of people looking happy. 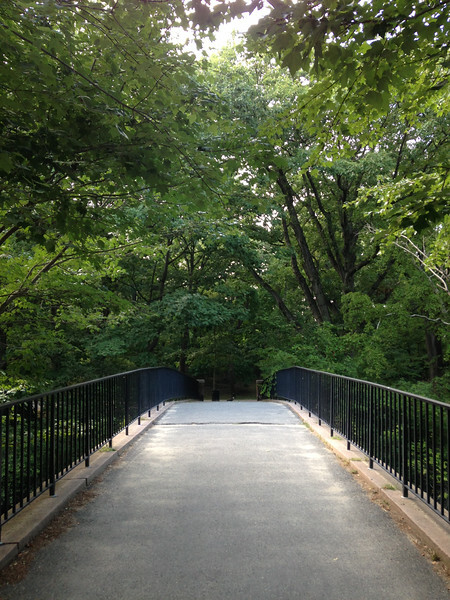 Walking through Olmstead Park along the Jamaicaway, beween Jamaica Pond and the Riverway. 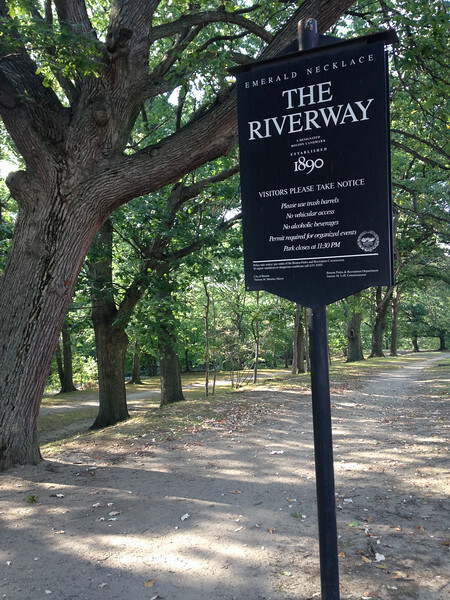 Entrance to the Riverway, one of the parks that runs along the Muddy River. 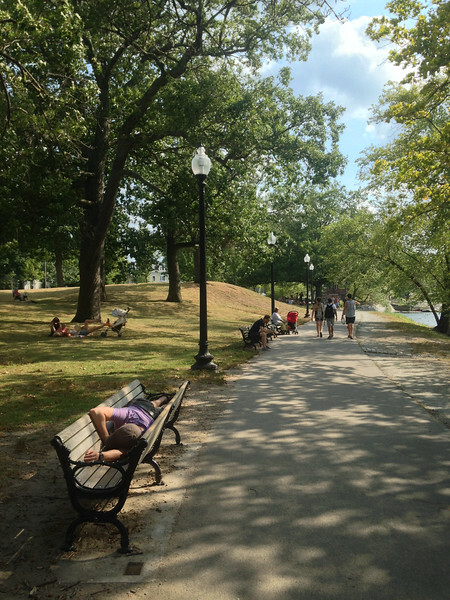 The Muddy River drains from Jamaica Pond and flows out to the Charles River. 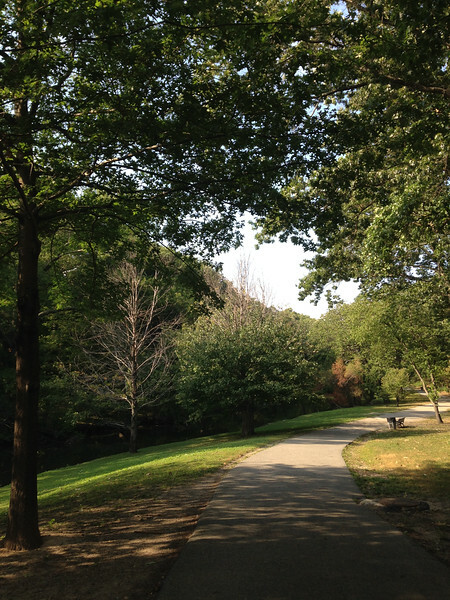 Walking path through the Riverway. 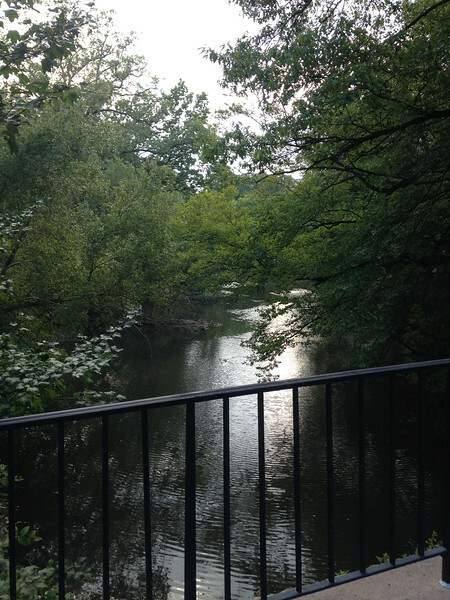 Looking at the Muddy River from a bridge in the Riverway. 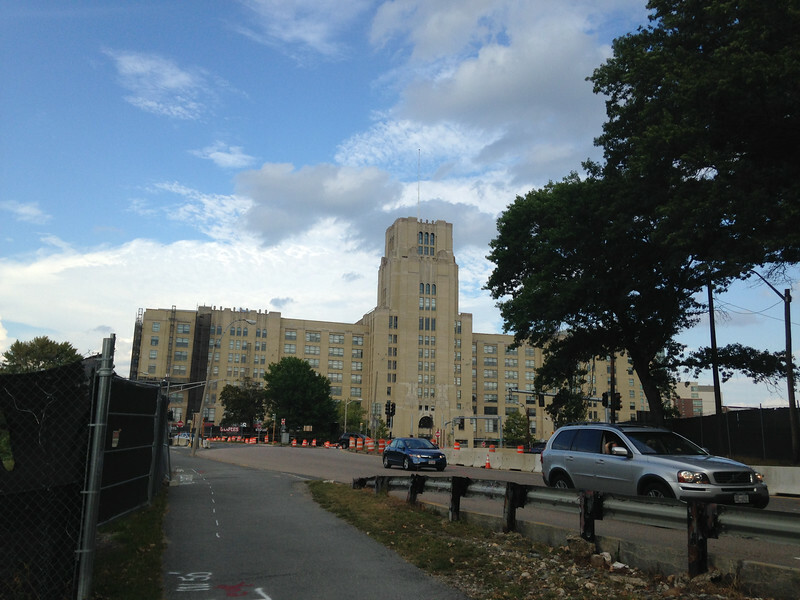 Emerging from the RIverway, you encounter the Landmark Center, home to many businesses and a few restaurants. 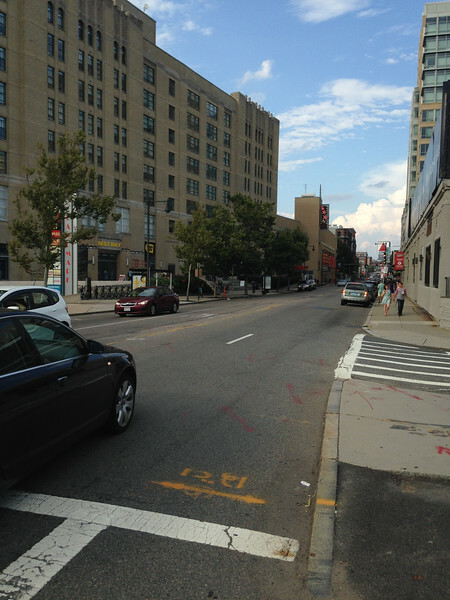 Looking down Brookline Ave towards the famous Citgo Sign. 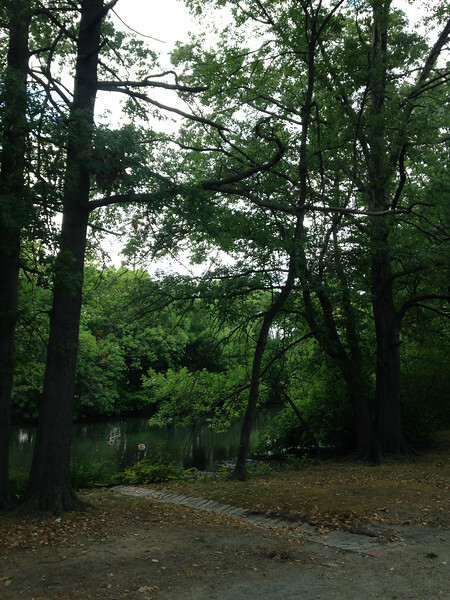 The Back Bay Fens, an urban wild from which the Fenway neighborhood and Fenway Park got their names. 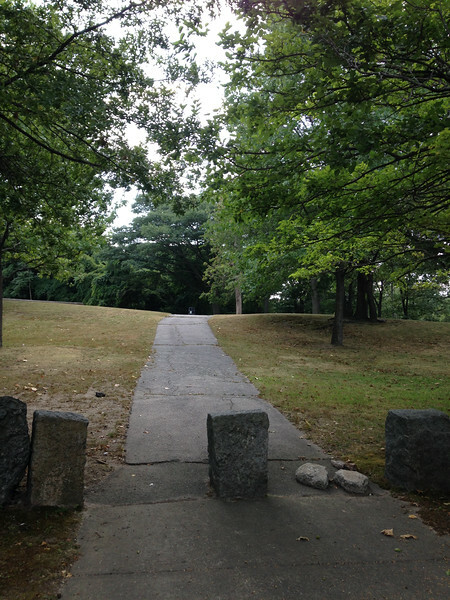 Walking path in the Back Bay Fens. 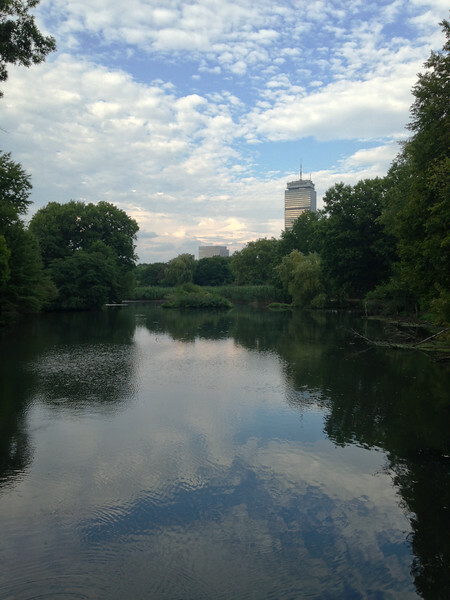 View of the Prudential Tower from the Back Bay Fens. 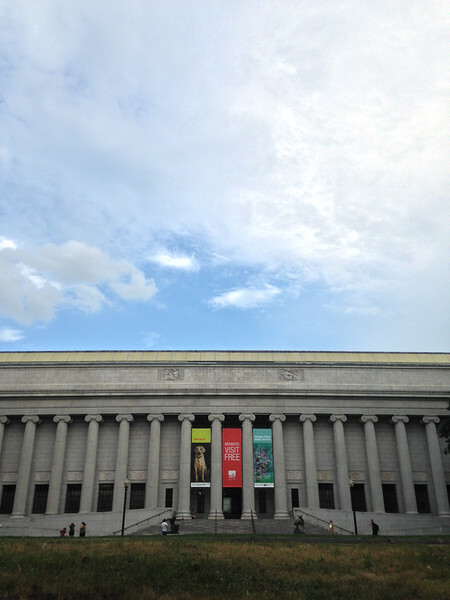 Boston's Museum of Fine Arts, as seen from the Back Bay Fens. 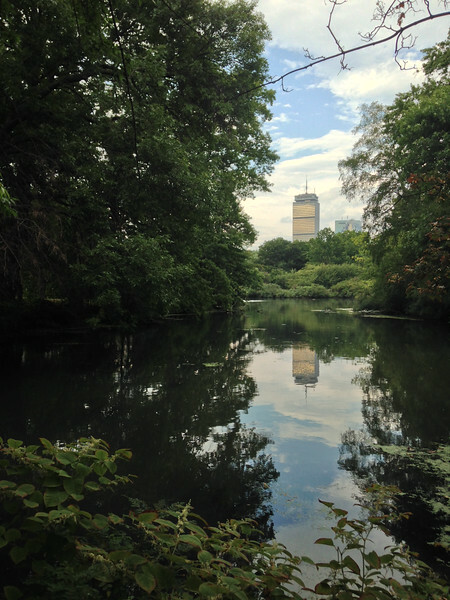 Another view of the Prudential Tower from the Back Bay Fens. 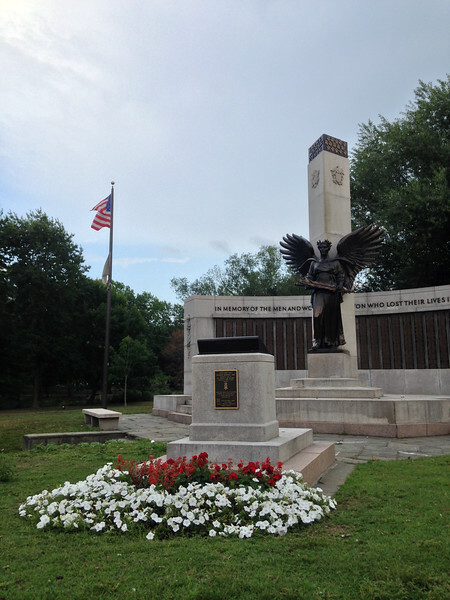 War Memorial in the Back Bay Fens. 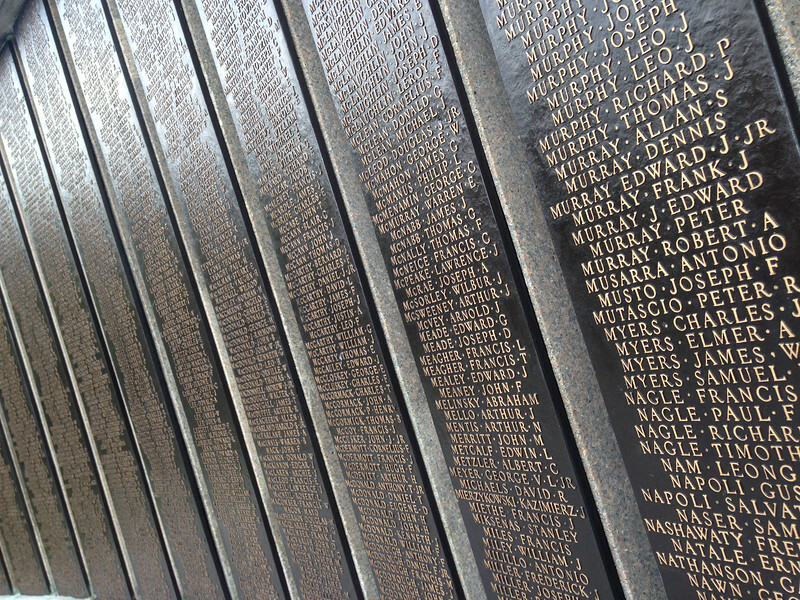 Back Bay Fens war memorial. 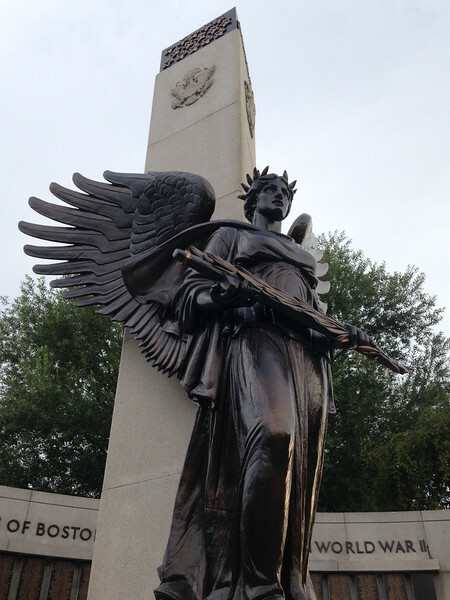 Angel sculpture at the war memorial.